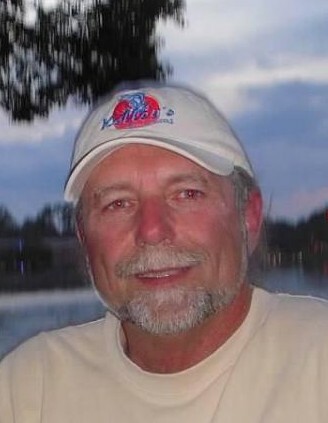 Ronald Wayne Kelley, 61, of Glen Burnie, Maryland, passed away Thursday, April 4, 2019, after a long illness. Ron was born in Baltimore, Maryland, on August 16, 1957, to Geraldine Kelley and the late Ronald W. Kelley. Ron truly enjoyed his 40 years working as a longshoreman at the Dundalk Marine Terminal. He loved bass fishing, playing poker, horse racing, and cheering for all Maryland sports teams. But most of all, he loved spending time with his family. Ron is survived by his devoted wife of 35 years, Terry Kelley; his beloved mother, Jeri Kelley; his loving siblings, Kathy & Mike Lobasso, Larry & Lori Kelley, and Laura Pary; his dear in-laws, Guy & Peggy Cremen, Linda Cremen, Patrice Cremen, and Gary & Nanci Cremen; and his cherished nieces & nephews, Gina, Kara, Brooke, Caitlin, Matthew, Joey, Gary, Zach, Matthew, and Scott. He was predeceased by his father, Ronald William Kelley. A Celebration of Life Mass will be held at Holy Trinity Catholic Church in the near future. In lieu of flowers, memorial contributions in Ron’s name may be made to Hospice of the Chesapeake at www.hospicechesapeake.org.